One of the three trauma patients has been discharged from the hospital. There has been no change in conditions for the other two accident victims. 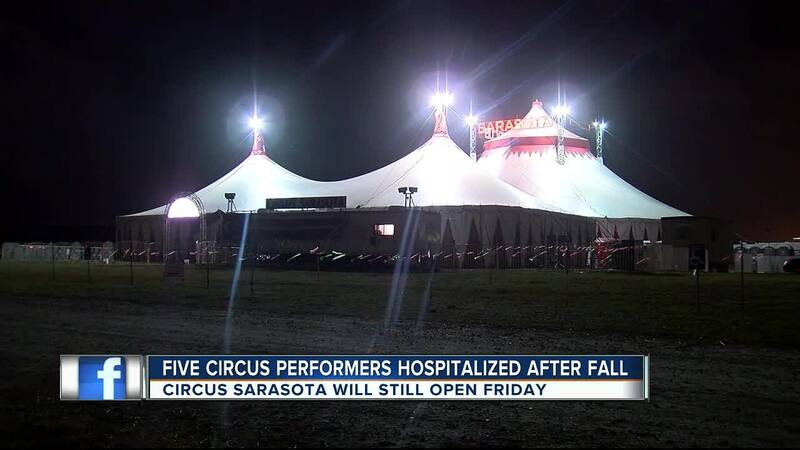 ORIGINAL STORY | The opening night of Circus Sarasota's 2017 winter production will not be delayed even though 5 performers were injured in a high-wire accident. 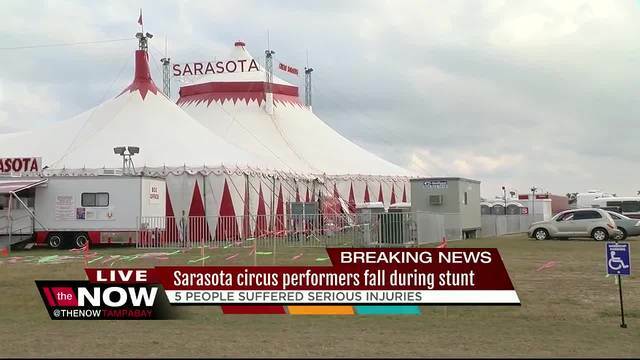 Five circus performers fell from a high-wire as they practiced for an 8-Person Pyramid near the University Town Center located at 140 University Town Center. Officials said the group had rehearsed the stunt a number of times without any incidents. The accident happened around 12:43 p.m.
Three of the performers have been admitted to a nearby hospital as Level 1 Trauma patients. 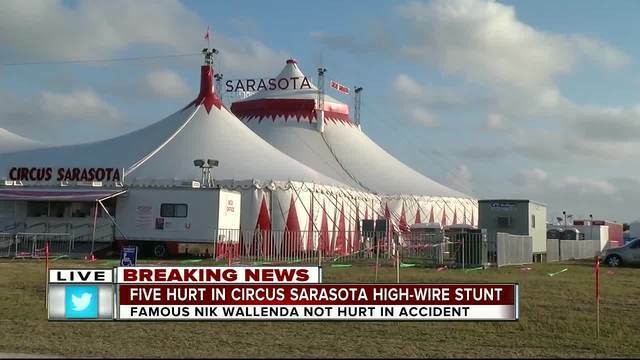 The show called 'Synergy' featuring Nik Wallenda is set to open on Friday under the Big Top at Nathan Benderson Par k.
Nik Wallenda was part of today's practice, but did not fall. 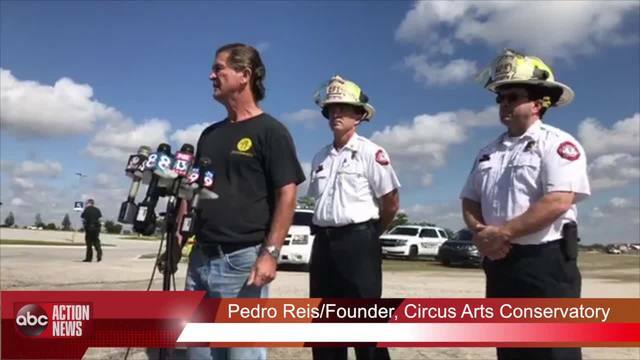 Pedro Reis, The Circus Arts Conservatory Founder & CEO, said the accident was most likely caused by one of the performers losing balance. 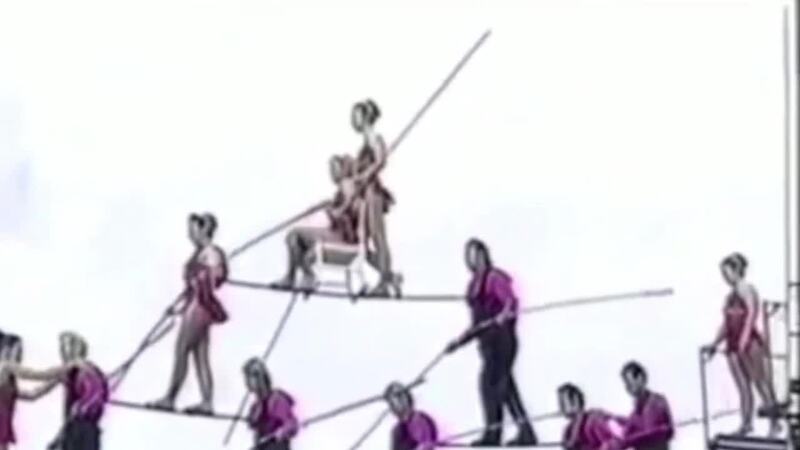 Reis said that the wire was approximately 20 to 25 feet above the ground, which if performed successfully would have been one of the highest on record. 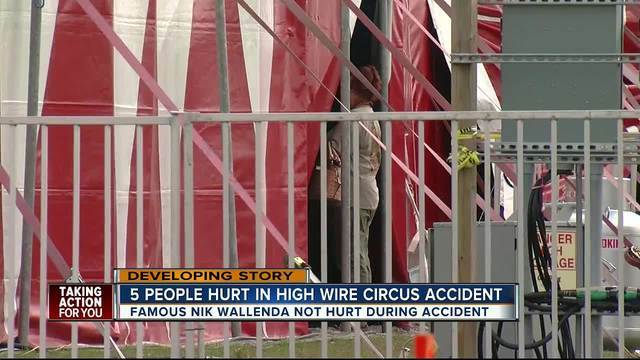 "We depend on performers as the consummate professionals -that doesn't mean that accidents don't happen," Neil Cockerline said. Cockerline is the president of the local Circus Fans Association of America. He is a huge fan of the circus and understands why they work so hard on the finale. "It's always a tremendous thrill…I mean….every element of the circus we look at it as an art," Cockerline said. 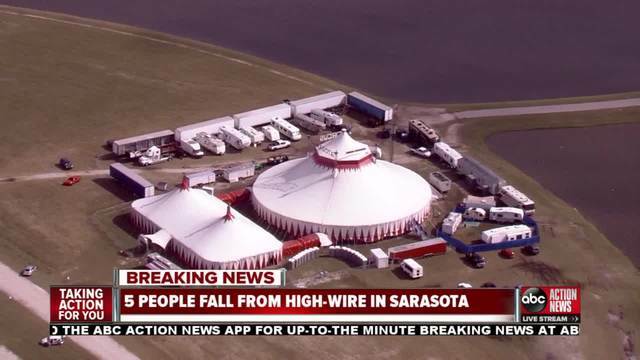 Officials said this afternoon's accident was not an equipment or rigging failure; every performer is expected to fully recover. Their names have not been released. Fans like Cockerline are praying for the injured performers and wondering what went wrong Wednesday afternoon. "You know it's our believe, as circus fans, that this won't be the last attempt and hopefully in the future they will be successful." Cockerline said. Opening night is Friday. Officials said they are discussing what they will do about the grand finale.